46 new pubmed citations were retrieved for your search. Click on the search hyperlink below to display the complete search results: palliative care[MeSH Terms] These pubmed results were generated on 2018/03/07PubMed comprises more than millions of citations for biomedical literature from MEDLINE, life science journals, and online books. Citations may include links to full-text content from PubMed Central and publisher web sites. 28 new pubmed citations were retrieved for your search. 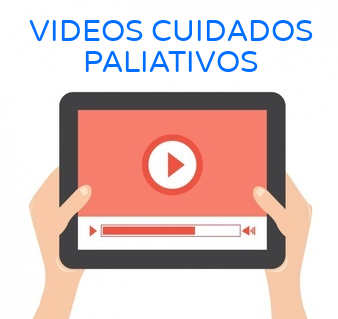 Click on the search hyperlink below to display the complete search results: palliative care[MeSH Terms] These pubmed results were generated on 2018/02/22PubMed comprises more than millions of citations for biomedical literature from MEDLINE, life science journals, and online books. Citations may include links to full-text content from PubMed Central and publisher web sites. 43 new pubmed citations were retrieved for your search. Click on the search hyperlink below to display the complete search results: palliative care[MeSH Terms] These pubmed results were generated on 2017/12/22PubMed comprises more than millions of citations for biomedical literature from MEDLINE, life science journals, and online books. Citations may include links to full-text content from PubMed Central and publisher web sites. 45 new pubmed citations were retrieved for your search. Click on the search hyperlink below to display the complete search results: palliative care[MeSH Terms] These pubmed results were generated on 2017/11/30PubMed comprises more than millions of citations for biomedical literature from MEDLINE, life science journals, and online books. Citations may include links to full-text content from PubMed Central and publisher web sites. 29 new pubmed citations were retrieved for your search. Click on the search hyperlink below to display the complete search results: palliative care[MeSH Terms] These pubmed results were generated on 2017/10/05PubMed comprises more than millions of citations for biomedical literature from MEDLINE, life science journals, and online books. Citations may include links to full-text content from PubMed Central and publisher web sites.